Guatemala is a colorful, tropical country with Maya culture and it’s full of travel destinations and fun weekend activities as well as lots of interesting people. For information on our birth center go to centrodepartonatural.org and for more information on this internship and to apply send us an email to hannahcdp@gmail.com introducing yourself. El CDPI since its beginnings as Centro de Parto Natural in coordination with Asociación Manos Abiertas has had an intern program for midwifery students from all over the world. Interns have the opportunity to participate in clinical practice according to the north american midwifery model of care in which the priority is highly personalized, respectful care that is directed towards the woman’s empowerment. Must be a very motivated, flexible and happy person. Once in Guatemala, the intern will have a conversation with the director about your expectations and ours, so you can benefit the most from your stay. The director is your direct contact for any question, preoccupation or approval for time off. During the whole year we have a comfortable, summery climate. It rains between May and Octobre. The intern need light clothing, a jacket, a sweater and pants, jeans or cotton. Safety issues here are similar to the rest of the world. Therefore the intern must be cautious, not walk alone at night and should avoid unsafe areas, especially in Guatemala City. Generally, you need no particular vaccinations. In the climate around Antigua, it is unlikely that you contract a tropical disease. However, “traveler’s diarrhea” is very common and there is no treatment. The Centro Integral de Parto Natural Ixchel is located in Guatemala City, Manos Abiertas in Ciudad Vieja, Sacatepequez (Close to Antigua Guatemala). Here is where interns live and mostly work. For consults and births they will travel to Guatemala City with the director of Midwifery, Hannah Freiwald. Very occasionally you may have to travel by bus, but only during daytime. Interns have no legal status. What an intern does is responsibility of the director, therefore your level of experience will be evaluated and your tasks will be chosen accordingly. Our interns are on call 24/7. You will sit in at appointments and be asked to do routine tasks such as taking weight, blood pressure, and patient histories. The more you know, the more you will get to do. This includes attending births under supervision, once you feel ready and we are confident you have the knowledge needed. Mid-way through your stay, you should propose a project that will benefit the clinic–the project should be something that you specifically are interested in and would like to share. Possible examples range from grant writing and decoration to an educational project. The project should be finished by the end of your time here. You can also choose from the various projects already started at the clinic or choose your own after speaking with the Director. In addition to the project, you will also be asked to add two points to the Intern’s Manual for the benefit of future interns, as well as fill out a satisfaction survey at the end of your stay and write a blog for our website. Interns live at Manos Abiertas in their own room with bathroom and kitchen access. (ocasionally you will have to share a room with one other intern) Housing is included in the Intern Fee. Manos Abiertas has a photo gallery with photos of the clinic as well as past interns- this can give you a better sense of the community we serve as well as our physical surroundings. Both clinics have wireless Internet access. If you do not choose to bring your own computer, you will have access to a computer with Internet at Manos Abiertas after office hours. There is plenty to do during your free time in Antigua. There are shops, restaurants, bars (watch it! ), salsa classes, cooking schools, art galleries, cultural events, and so on. You can go horseback riding (speak with the Director), climb volcanoes, get to know coffee farms, go to the ocean, see Mayan ruins…the list goes on. We have a very good Spanish teacher who teaches at Manos Abiertas. Let us know if you would like to improve your Spanish! Time for travelling has to be arranged in advance with the director. Ideally you do your internship first and travel once it is over. In Antigua Guatemala, there is a lot to do in your time off: stores, restaurants, bars – careful! -, salsa dancing classes, cooking schools, art galleries and cultural events, among others. You can also do horseback riding – talk to the director about it – , climb volcanoes, visit coffee farms, go to the beach, go on excursions to Mayan ruins. The list is long! Once you have decided you want to spend time with us, you will confirm with the Director and pay the program fee in order to reserve your space. Minimum stay is two months. We do get quite a few requests, so please try to arrange for your stay well in advance. Unfortunately, there are no refunds. We ask for payment at least two months before your arrival. For more information, please contact hannahcdp@gmail.com. Follow our topics on humanized birth, vaccines and natural products for mother and baby. Leave your comments and links. Share our link, there are a lot of people it may be helpful to. Ask for and share information on our self help group for moms who want to avoid a second, or even a first, c-section. Asociación Manos Abiertas, our nonprofit, also has a blog. So there is something for everyone! 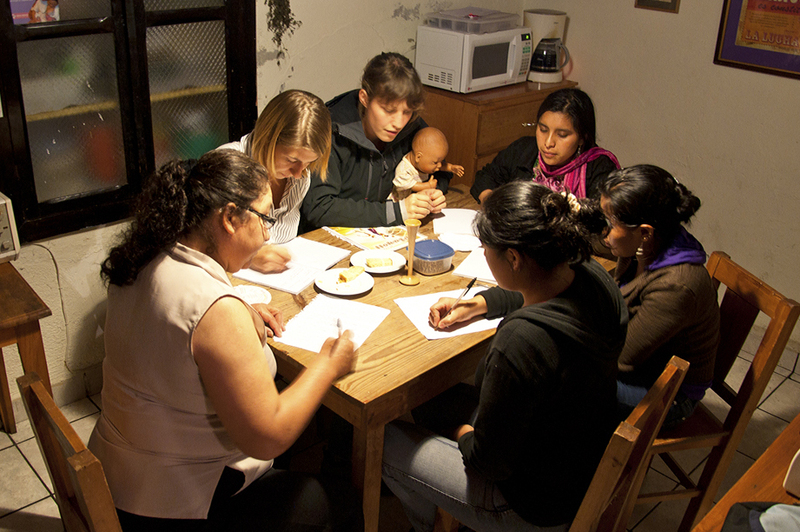 If you have had a good experience with us, please sponsor a birth in Asociación Manos Abiertas, so a low income family can have a humanized birth experience.